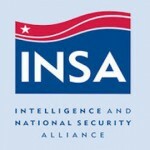 The Intelligence and National Security Alliance has created an advisory committee to offer recommendations and guidance on events, policies and other matters related to INSA and its charitable organization. INSA said Tuesday the panel consists of 26 members who have held senior-level roles within the government or industry and previously served on former INSA advisory bodies, executive committee or board of advisers. Chuck Alsup, president of the INSA, said members of the advisory committee will work to help shape the organization’s current missions and future plans. Alsup added the industry and academic leaders have all committed to help further public-private partnerships for U.S. intelligence and national security.